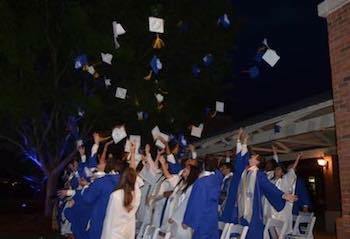 Brookstone Alumni are a dedicated group of graduates from 1972 - 2018 who are always willing to work to ensure that future students have the same opportunities as those who have come before them. At a school like Brookstone that affects so many aspects of life, it is easy to feel a sense of loyalty. Many alumni stay connected by volunteering in different ways throughout the year. Alumni events hosted by the school offer opportunities for alums to stay connected. Anyone who has attended Brookstone is a part of our Alumni Association and is welcome to participate in any activities. Since its inception in 1968, many changes have taken place across the campus that remain true to the overall mission. Please contact Meg Godfrey, Alumni Coordinator, to get involved. Remember no matter where you are in the world you will always be an essential part of Brookstone so please stay in touch!